2. Inform consumers and pet professionals of alternative pet food choices. 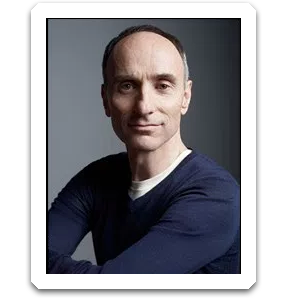 IRT will produce a mini-documentary, podcasts, interviews with experts and identify and support needed research as the program evolves. 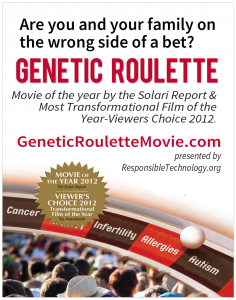 The Institute for Responsible Technology (IRT) is a 501(c)(3) nonprofit organization dedicated to consumer education about the health risks of genetically modified organisms (GMOs) in food. 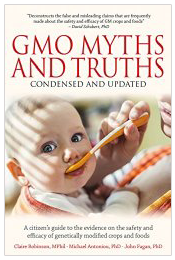 Founded in 2003 by international bestselling author and consumer advocate, Jeffrey Smith, IRT is a world leader in educating policy makers and the public about genetically modified food. Protect Your Pets from GMOs and Pesticides is a program of the Institute for Responsible Technology – IRT, responsibletechnology.org. 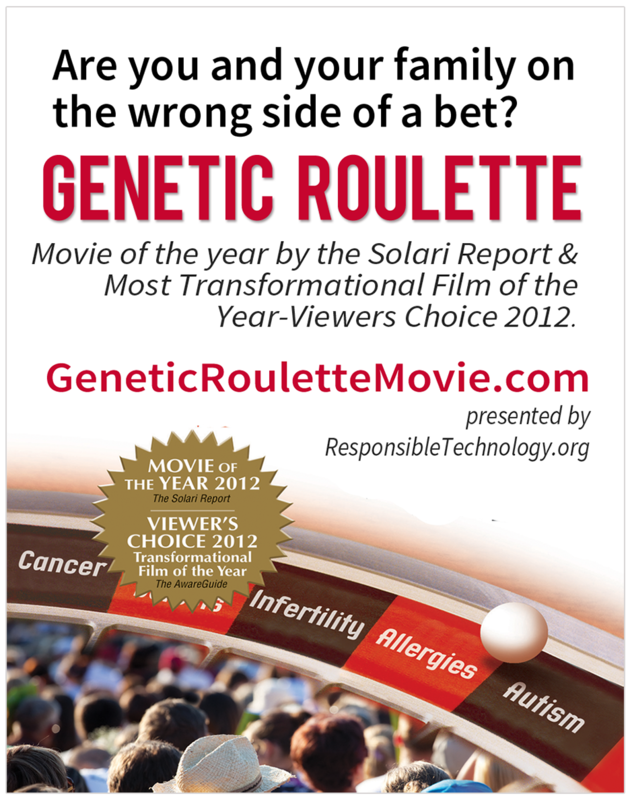 Watch the award-Winning film on the health risks of GMOs. Stay in the know on pet food brands and ingredients, get an analysis of the top selling pet foods, learn how to read a pet food label to protect your pet from GMOs and pesticides in pet food, and get interviews with the experts plus much more.